A Pre-Owned Jaguar XF can provide drivers all the performance and comfort they need when driving around Maryland. Buying pre-owned is a great way for drivers to maintain some flexibility while also getting the luxury they desire. 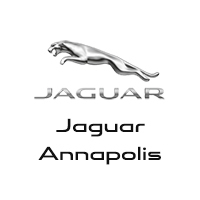 At Jaguar Annapolis, we know drivers want the flexibility of a pre-owned vehicle. Getting a pre-owned Jaguar XF can provide customers a luxury sedan with great Jaguar technology at an affordable price. And you can trust a pre-owned Jaguar to retain its high-class sheen—after all, Jaguar has been making cars since 1935, so we know luxury. We at Jaguar Annapolis will do whatever it takes to get the right car for you, and a pre-owned Jaguar XF may be just what the doctor ordered. We look forward to helping you get the right car!